A massive 45 out of the top 50 network operators in the world rely on telecommunication services from Chinese mobile giant Huawei. The stat was mentioned during the Chinese firm's annual financial results, where it also announced that it's doing pretty well for itself. 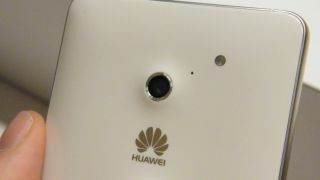 In fact 70 per cent of Huawei's profits came from its work with network operators, while its consumer smartphone business accounted for just 22 per cent. Are you Apple in disguise? Several firms have been battling to balance the books recently including the likes of HTC, LG and Nokia, but Huawei is on the up with net profits raising 33 per cent year on year – the sort of performance we've come to expect from Apple. Huawei wants to become one of the top three smartphone manufacturers in the world and while handsets such as the recently announced Ascend D2 and Ascend Mate show the firm's drive, it still has a way to go before it can properly challenge Samsung and Apple. Looking to the future Huawei predicts that data traffic will be the big sticking point, so it's focussing efforts on improving the system by creating pipes with larger bandwidth allowing for "massive date flow."